golden statues for the winners, and emotional acceptance speeches. I can only be talking about one event: The Raymonds. Raymond, Maine’s third annual student film festival, The Raymonds, took place at Jordan Small Middle School last Friday night, June 1st. 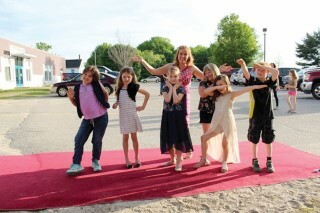 Hosted by the eighth-grade class, this gala celebrated student films from kindergarten through the eighth grade. Just like certain other motion picture award ceremonies, The Raymonds had a generous amount of witty banter between the hosts, short clips of the films, and golden statuettes for all the winners. Each group of first, second, and third place award winners had the chance to make an acceptance speech, typically thanking their teachers, their parents and, yes, the hosts of The Raymonds. This celebration even featured a “green screen” for photographs that made the winners look like they’d been transported to Hollywood, another epicenter of fine filmmaking. With nineteen films in the running, many fingers and toes were crossed as the eighth-grade hosts asked for envelopes announcing the third, second, and first place prizes in categories ranging from Best Film, Kindergarten through Second Grade Division to the coveted McIntosh Award for Best in Show. Clips were shown from the second and third place winners, and the first-place films were played in their entirety. Every group of award winners also had the chance to give acceptance speeches as they held their golden statuettes on the stage. 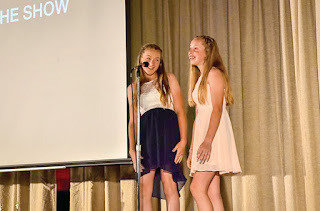 The awards and acceptance speeches were interspersed with musical performances, from impressive solo vocal recitals by Alice Morrison and Sorcha Salom both eighth grade students, to a performance by Jordan Small Middle School’s rock and roll band that had many young actors and actresses literally dancing in the aisles. Grade Division, presents a fantastical adventure where Mrs. Brackett’s fourth grade class finds themselves magically transported to biomes across the world. The winning short film in the Fifth-Sixth Grade Division, “Hands On,” is an adventure in filmmaking featuring a vanishing robot and mysterious pair of hands. In the Seventh Grade Division, the winning film, “Laura 1.0,” is a suspense-filled, science fiction thriller with a cliffhanger ending. And, while it’s unusual for a sequel to perform as well as the original film, the winner of the Eighth Grade Division was an exception. “Losing Bubby,” the sequel to last year’s winner “Finding Bubby,” gave the evening a nice infusion of comedy. 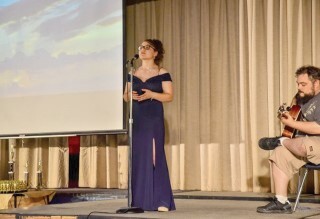 Finally, the winning film in the High School and Independent Division, “On the Eve of Her Arrival,” is a suspenseful, artistic film inspired by magical realism. A full list of all the award-winning films can be found below. which is as delightful as its name. 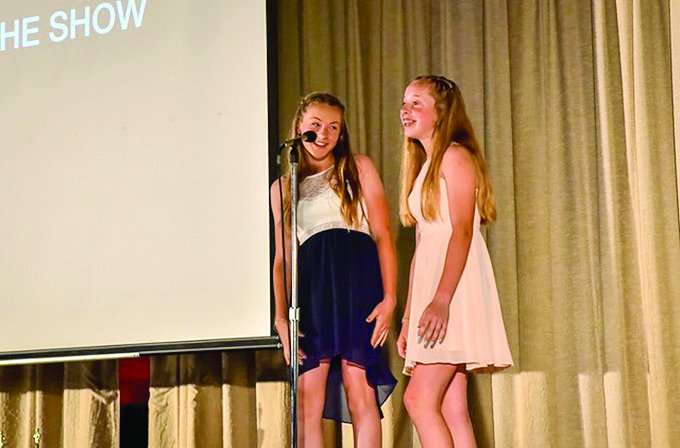 Once the last awards were claimed, photographs taken, and younger actors and actresses pulled from the playground, the movie stars of Jordan-Small Middle School and Raymond Elementary headed home as the stars of the night sky began to shine overhead.